The 16pf PEQ is a two-part questionnaire with 325 items that takes approximately 75 to 90 minutes to administer. 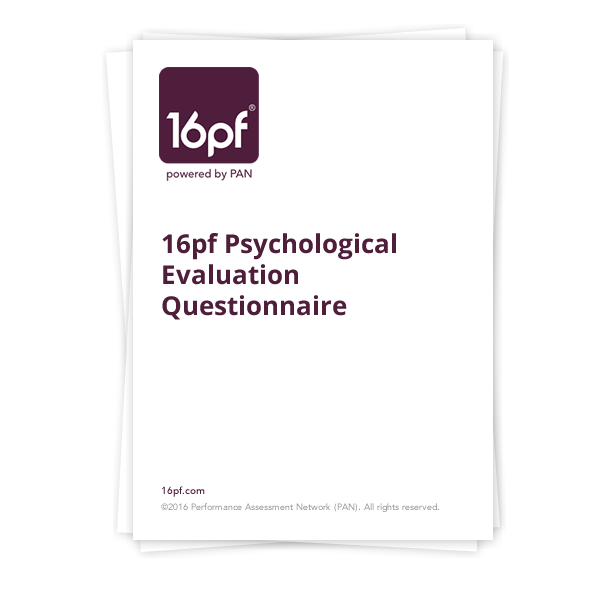 Part 1 is the normal personality section that consists of the 16pf Questionnaire’s 185 items and Part 2 includes 140 pathology-oriented items. There are two interpretive reports that can be generated from the 16pf PEQ: the 16pf Psychological Evaluation Report and the 16pf Protective Services Report Plus.